The story of Alex and Rebecca is finally complete. The last two chapters of my regency romance novella Fibs in the Family are on Wattpad, the lovers got their happily-ever-after, and the villain is caught in his own web. Phew! Captain Alex Woodward was fighting Napoleonic troops on the Peninsula, until his wounds forced him to retire. Now he travels to an estate of his former comrade, killed by the enemies, to fulfill his promise and help the slain officer’s sisters any way he could. The estate is entailed, but the eldest sister Rebecca comes up with an ingenious solution to their problem. Although Rebecca’s idea is highly irregular and somewhat illegal, Alex’s promise wouldn’t let him to back off. It could’ve been easy, if their mutual attraction didn’t complicate matters. And then, Rebecca’s brother’s secret past comes to light, and a worse entanglement ensues. I entered the novella into the #Wattys2015 competition, so please read and comment. Any suggestions and critique are welcome. After some time on Wattpad, I’m going to take the story down and publish it on Amazon. At that point, I’ll change the cover, as my cover on Wattpad – the one you’ve seen in these update posts – is a temporary placeholder. I’m working on the new cover and I’ll reveal it here soon. This entry was posted in Novella, Olga Godim, Regency, Romance, Writing and tagged Fibs in the Family, namesakes, novella, Olga Godim, Regency, romance, wattpad, Writing. Bookmark the permalink. 3 Responses to Fibs in the Family finished! 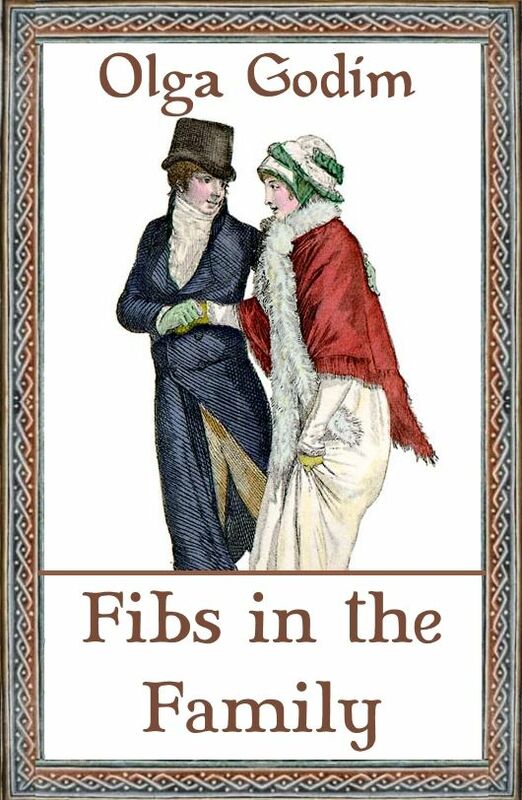 I liked Fibs in the Family. Rebecca is now my new favorite heroine. Loved how she took charge in dealing with the villain in the end. I’ve bookmarked to read, lovely! Thank you!